As someone who has just recently gotten back into running and who is training for a half-marathon, I have been using a treadmill quite a bit. It is the middle of winter and currently snowy or icy most days. As a result, I have discovered some great tips to make the most of my indoor runs on the treadmill. When you go for a run outdoors, you have to figure out where you’re running, how long you’re running, and what pace you want to have. It requires some thought. On the treadmill, though, it can be easy to just hop on and figure out what you want to do while on the treadmill. Instead, you should figure out what kind of workout you’re going to do before getting on the treadmill. Is this going to be a speed day or a distance day? Knowing ahead of time what your goals are will help you make the most of your workout. Additionally, if you don’t have your own treadmill like I do, you want to make sure that you’re going to the gym at a time when one will be available. It’s incredibly frustrating to know your workout plan only to find no treadmills available. Finally, do your best to ignore the people around you and do the workout you had planned. You should know ahead of time what pacing you want to have. Most treadmills are set up by miles-per-hour, whereas runners prefer minutes-per-mile pace. Do the math beforehand to know what number to set the treadmill on. You can use Running World’s pace calculator, or remember that 6 mph is 10 minutes-per-mile pace, 7 mph is close to 8:30 minutes-per-mile pace, 8 mph is 7:30 minutes-per-mile pace, 9 mph is 6:40 minutes-per-mile pace, and 10 mph is 6 minutes-per-pace. Figure out what number is closest to the pacing you want before you get on the treadmill. It’s very easy to get bored on the treadmill, because it’s the same thing over and over. You might be staring at a wall during your entire workout, and it’s hard to stay positive and keep yourself motivated to run. Interval training is a great way to go because it keeps things interesting and can help you train for hills and race pace. You should also make sure that you vary your workouts, so that your muscles don’t adapt to the same workout. If they do, you will burn fewer calories and get less of a benefit from exercise time. You can even use the treadmill for more than running and walking if you’re really looking for some variety. The treadmill gives you the opportunity to personalize your workout, so you should take full advantage of all of the options that you have. You can slowly work your way up on an incline, starting first with just a slight incline and later increasing as you get stronger. In addition, most treadmills have a variety of workouts pre-programmed for you, depending on your goals. 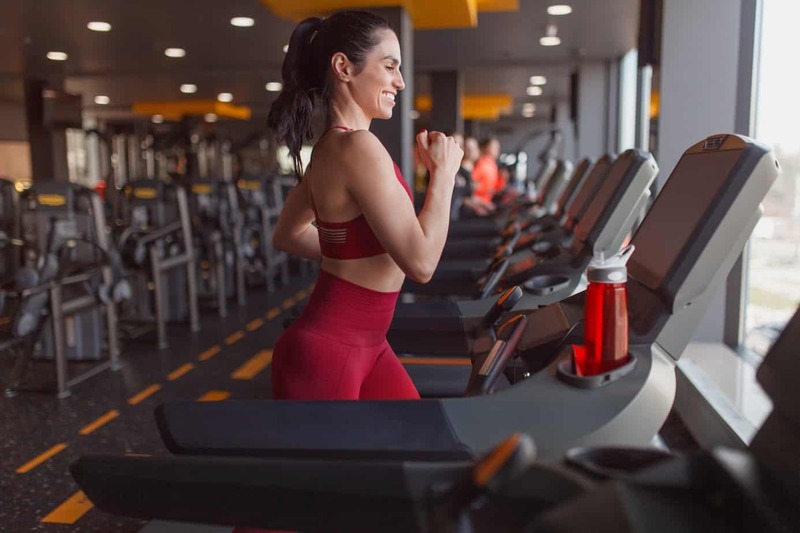 If you’re training for a half-marathon that is particularly hilly during a 3-mile stretch, you might want to try a hill-climber workout option on your treadmill. If you’re looking to lose weight, the fat burn option might be a good one for you. One thing you need to watch on the treadmill is your form. It can be easy to get sloppy, but avoid that inclination. The handrails are not there for you to hold. If you can’t get through your workout without touching the handrails, you’re pushing yourself too hard. Slow to a pace that you can sustain comfortably without touching the handrails. Similarly, you need to look forward. Don’t make the mistake of watching your feet or even the “dashboard” featuring your calories burned, minutes on the treadmill, and miles run/walked. You need to mimic your natural “road form”: look forward and keep your back straight. Run on the treadmill as you would outside. Finally, just because you’re running inside on a treadmill doesn’t give you any reason to forego proper running procedures. Don’t get lazy.Remember to stretch and do a dynamic workout before your run, warming up on the treadmill for a couple minutes, completing your workout, cooling down on the treadmill, and then stretching again. 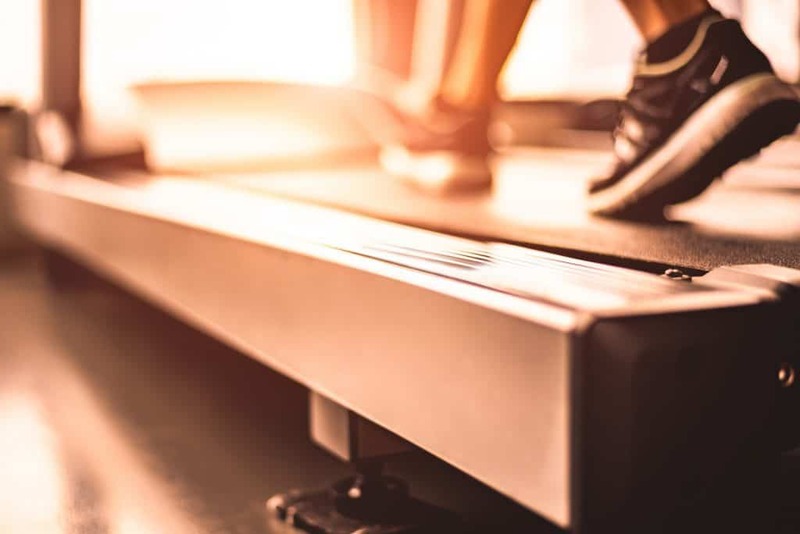 If you want to avoid injuries, you need to make sure that you’re doing everything you would before a run outside before your run on a treadmill. You may even want to consider icing your feet after a run on the treadmill. It might seem like overkill, but I’ve found that it’s been helpful to me in avoiding injuries. As one final thought, it’s true that the treadmill makes running very customizable and straightforward. You can easily adjust the speed and incline and have a predetermined workout. It requires very little thought. You simply get on and off the treadmill. However, avoid the mentality of not spending as much time thinking about your run or walk on the treadmill. You should put as much thought into your training and running on the treadmill as you would for a run outside. By taking full advantage of the differences between running outside and running inside, you will likely find that you will be a much faster and much stronger runner. If you are a new runner, the best way to get started is with a Couch to 5k Training Plan. You can even do our Couch to 5k on a treadmill! Use the box below to download your free copy!